Small sign that is read and green. This Budweiser sign is 21″ by 11″ and has white and yellow text. 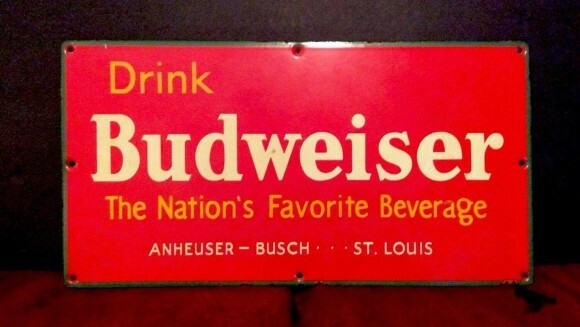 The text reads “Drink Budweiser, The Nations Favorite Beverage, Anheuser-Busch…St. Louis.” The sign has mounting holes on all sides.